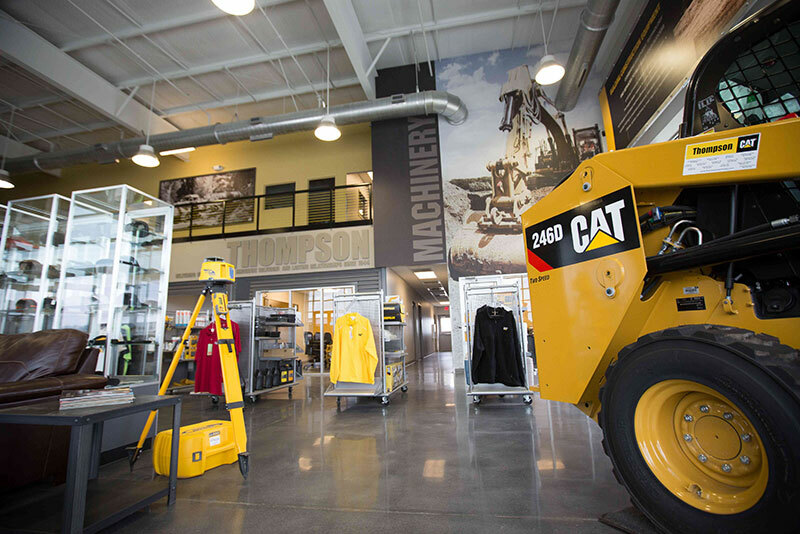 As Caterpillar pulled out of the work truck market, Thompson Machinery started looking to replace the business, taking a chance on new technology as a charter distributor for Nikola Motor Co.’s hydrogen fuel cell trucks. The Nashville-based truck dealer, an early Nikola investor, is shifting resources from a top brand in heavy equipment for a risky venture in new green technology. Thompson was “intrigued” by the success of electric car company Tesla Motors, said Steve Lainhart, general manager of the power division of Nashville-based Thompson Machinery. “We knew somebody was going to get there in the truck market, and Nikola is much closer than anybody else in that process,” Lainhart said. Nikola is developing the Nikola One, a zero-emission, hydrogen-powered electric truck boasting a range of 800 to 1,200 miles while carrying a full load of 65,000 pounds without stopping at a hydrogen fueling station. The hydrogen-electric hybrid truck will use a 300kW fuel cell as well as a 320kWh battery bank that will provide backup energy and help the truck with high-torque situations and hill climbing. Unlike Tesla’s manufacturer-owned distribution network model, Nikola will outsource distribution in the South to Thompson Machinery, which has 11 facilities in Tennessee and Mississippi. Ryder System Inc., a Miami-based fleet management firm with 800 service locations in the U.S. and about 5,000 technicians, will handle distribution nationally and in Canada and Mexico. Ryder believes Nikola has brought a unique vision to the trucking industry, said Scott Perry, the chief technology and procurement officer for Ryder System. Nikola faces plenty of competition from a mature truck manufacturing industry, including Daimler Trucks, Volvo Trucks, Paccar and Navistar. It won’t take a lot of market share from those traditional companies, but nonetheless is changing trucking much like Tesla did for passenger cars when it first broke into the auto industry, said Michael Ramsey, a research director at information technology advisory firm Gartner. “I look at companies like Nikola as a disruptor with the way it’s been able to innovate because it’s not locked into any existing platforms,” Ramsey said. “Tesla’s sales have not had an impact on the auto industry. They maybe have a tenth of a percent of global sales, but they’ve had an impact in terms of motivating others to develop” electric and hybrid vehicles. Already, Toyota Motor Corp. is exploring building a hydrogen fuel cell heavy-duty truck. Nikola has said the first 5,000 trucks will be produced by truck components company Fitzgerald Glider Kits of Byrdstown, Tenn. It also has plans to build a $1 billion manufacturing and research and development facility. The company is already in talks with several state governments about the facility and will determine its location in the middle of next year. Nikola plans to eventually manufacture 50,000 trucks annually. However, procuring enough capital to get the trucks on the road may be challenging. Nikola has secured at least 7,000 deposits of $1,500 for the hybrid truck – which Nikola chief executive Trevor Milton valued at about $330,000 each, totaling about $2.3 billion in pre-orders. 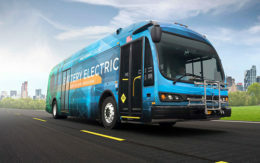 Milton – who personally funded much of the initial $20-million investment in the company and hopes to raise $300 million in the next round of financing – said the trucking industry, which has relied on diesel technology for a century, is ready to shift to a cleaner and more efficient power source. The fuel efficiency of the vehicle, which will produce 1,000 horsepower and 2,000 pound-feet of torque, is designed to exceed all greenhouse gas mandates from the Environmental Protection Agency and other government departments for the next decade. Adoption of the Nikola One may take a few years as fleet owners and owner-operators adjust to and adopt the new technology, said Chris Visser, a senior analyst and product manager at NADA Official Commercial Truck Guide. Low fuel prices, which likely will remain subdued for quite some time barring a black-swan event, also could cause trucking companies to put off purchases. “I don’t see large adoption in at least the first few years it’s available, especially since diesel prices are low and aren’t projected to increase that much in the foreseeable future,” he said. The biggest concern about the vehicle is not whether it can be developed – Nikola has already proven it can build the trucks – it’s the hydrogen refueling stations and whether they can be built that’s of concern, Lainhart said. Lainhart said he expects it will take time for sales volume to develop, but he believes the Nikola technology is worth his company’s investment in time, money and resources to get in on the ground floor. Thompson Machinery has devoted manpower and facilities, for now, as it looks toward the future when the hybrid trucks are on the road, Lainhart said. The company will also spend on infrastructure and training as development of Nikola One progresses, knowing there are still a few years before the truck will be rolled out. Despite concerns about the refueling infrastructure, the partnership with Nikola will be beneficial, he said. In the meantime, Thompson Machinery hopes to earn a few dollars by distributing the Nikola Zero – an all-electric side-by-side off road vehicle with over 500 horsepower and 476 pound-feet of torque. It is set to hit showrooms in December 2017. You face heavy comp, but if the infrastructure bill passes you won’t be able to break out to take advantage of need for more large semis. Ford has just broke out with a new 5 ton which it dropped during economic down turn. I emailed Isuzu semi to fill gap for GMC. But they refused, and under the new leadership of America first, companies may not wish to invest in foreign assets. So can you go to General motors company an use thier past name to push your line and if the bill passes you can gear up quickly using GM plants to meet demand, you would lease plants and some Semis and 5 tons woild have that old look that GMC had? GM WHITE VOLVO. JUST Your name not White or Volvo. If brake out is a boom? Being with GM company could get you: Deawoo, Isuzu, GMC,Chevy CCC. Sky is the limit White, Autocar. Keeping your old company as parent, and staying ahead of Toyota, plus with America first Federal help for NASA? One asset of having GMC added to your name is past buyers who want GMC back, and when GM had semis and 5 tons innovation was a trademark of GM something that is missing now that smaller retailers have the markets but Ford is slowly getting back in. Second with Deawoo heavy and Isuzu weavy industries now you got export tracks for in countries inventory. But the most important part is down time replacement of fleet asserts. Being a new technology, your going to have bugs. When a fleet goes down, your going to need a big boy to cover your down tech till bugs are worked out: 1000000-2000000-3000000 mile bugs. These are big rigs. GM could get you Macks or IH to cover till bugs are gone. One bug that shuts down a complete line could bankrupt your small corp? Or you need a Lloyds of London policy to rent back up fleets with rentals like GM &Ford do for defective parts in their cars and trucks. Did CAT offer a package deal buy our semi with our industrial tractors at cost like the railroad would do backhaul for train loads just to cover fixed costs, then buyers can see them side by side? What they do best and what they are developing. In a old market it is hard to brake in. But no innovation also cost them? They already build mining dump trucks now build a street one in cat color, but now when you lift off dumper\\you got a standard trailer 5th wheel semi? The hydraulic rod is connected to dumper, it snaps in and out like an umbrella. Small tractor like a Bobcat: pushes in tail pins that release dumper from semi frame. Then huge job site tractor lifts dumper strait up pulling out hydraulic rod from semi. Lays it on ground at site then semi backs up to the same trailer to carry huge tractor off? Or semi grabs a tandom set of boxes from UPS computers for the site. Then a mixer is placed on because cement is needed. A CAT come back? Latter or as your fuel cell division?